A meth lab was discovered at a home in Standish, Maine. According to the Maine Drug Enforcement Agency, the couple living in the home was charged with manufacturing Methamphetamine. A meth lab was discovered at a home in Standish, Maine. 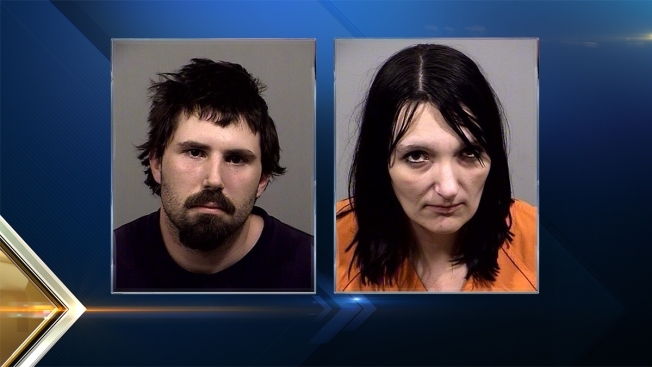 According to the Maine Drug Enforcement Agency, the couple living in the home was charged with manufacturing Methamphetamine. On the morning of April 25, The Cumberland County Sheriff's Department responded to 1 Woodland Ave in Standish, Maine, for a family disturbance, and while there, obtained information of a suspected meth laboratory at the house. The Maine Drug Enforcement Agency arrived at the scene and found evidence of two "one pot" labs. Additionally, two older, discarded labs were found along the wood line of the property. Timothy Schoubroek, 32, and Tressa Sprague, 35, who reside on the first floor of the home, were charged with Unlawful Trafficking in Methamphetamine and for violating their conditions of release on a pending theft charge. They are being held without bail pending a court appearance on April 27. In addition to the couple, five children were living at the home with the children's grandmother, who owns the split level house. Two of the children are living with their grandmother because their parents were charged with having a meth lab inside their New Sharon, Maine, home a month ago. Additional charges may be considered for Endangering the Welfare of a Child because of the children living at the home. The Maine Department of Health and Human Services has been contacted and is now assisting.